This is my first jar of 100% Raw Manuka Honey by Wedderspoon. I saw this used on a Dr. Axe health video so I knew it was a good quality. I used it in a healthy recipe I found on his video. 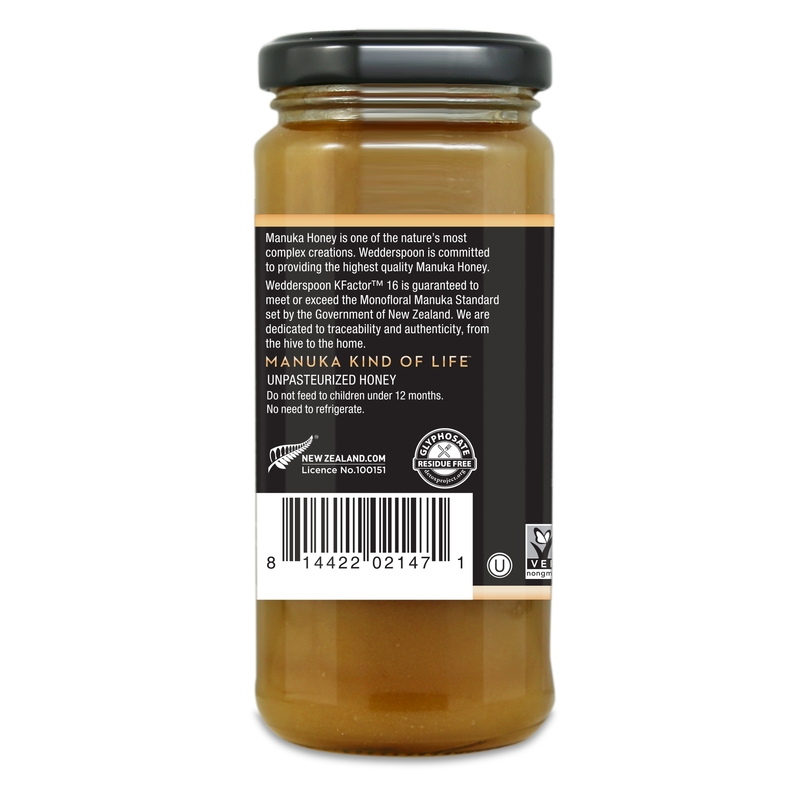 A true gem of New Zealand‚ this magical and mysterious honey is known around the world for its charismatic flavor profile. Over a period of six weeks‚ New Zealand honey bees are hard at work producing tons of honey consumed globally every year. Manuka honey is hazelnut in color falling into the Dark Amber category on the Pfund color grading system. Smelling Manuka for the first time you will quickly discover the subtle notes of fresh rain‚ and caramelized sugar — New Zealand in a jar. The flavor is equally impressive; as the honey crystals dissolve between your tongue and palate your taste buds will come alive with earthy notes and caramelized sugars with hints of pepper and ginger. 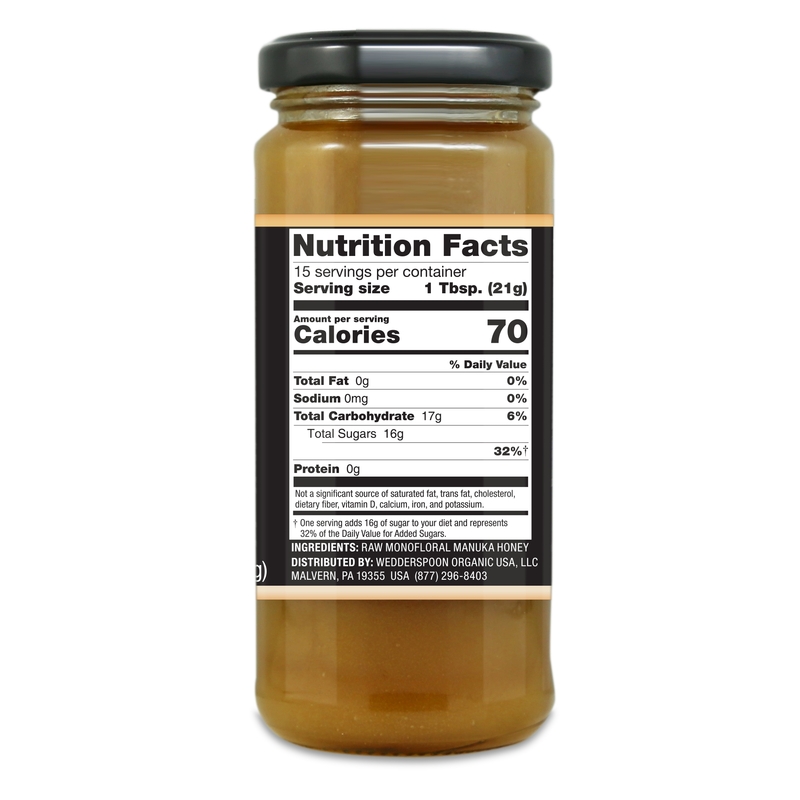 In addition to the bold flavor profile; Manuka honey is also rich in nutrients‚ enzymes‚ and antioxidants. 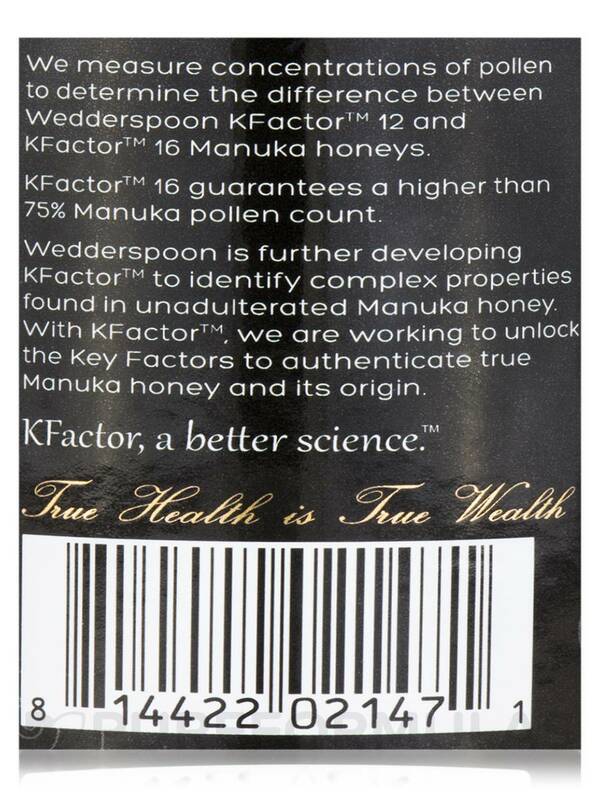 KFactor™ 16 guaranteed a higher than 75% Manuka pollen count. I use 100% Raw Manuka Honey by Wedderspoon in my oatmeal and hot herbal tea. It tastes so good! I also use it for my gums. It helps in healing them. I have inflammation in them. This helps in digestion. 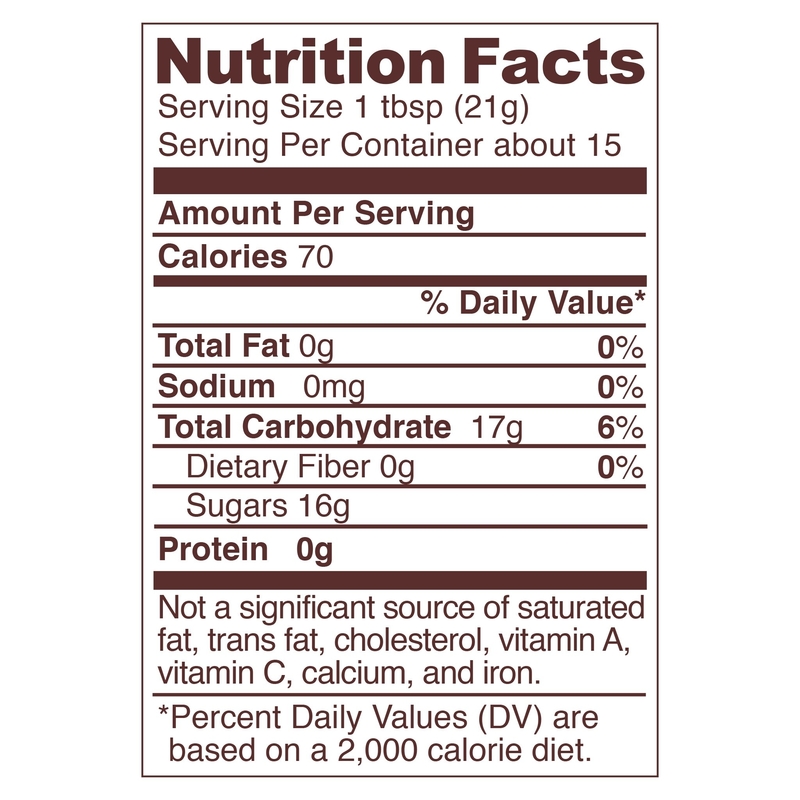 It does not spike my blood sugar, which is important for me since I'm borderline diabetic. The Manuka Gold tastes very good. I don't know about the other types of Manuka. Everything. It tastes very, very good! Nothing, except for the price. It's extremely expensive!!! The quality is stunning! 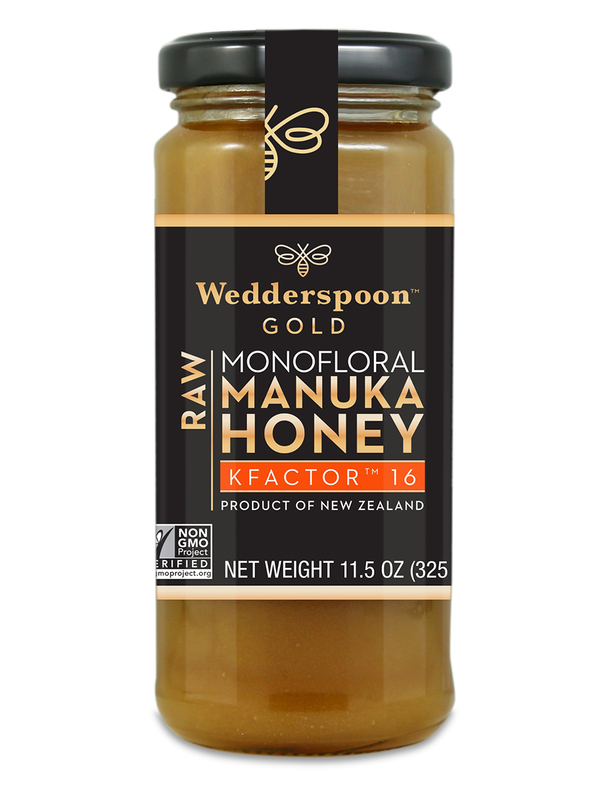 One of the best honey available.The 100% Raw Manuka Honey by Wedderspoon has become my favorite once I tasted it! Everything,glass jar is a plus.